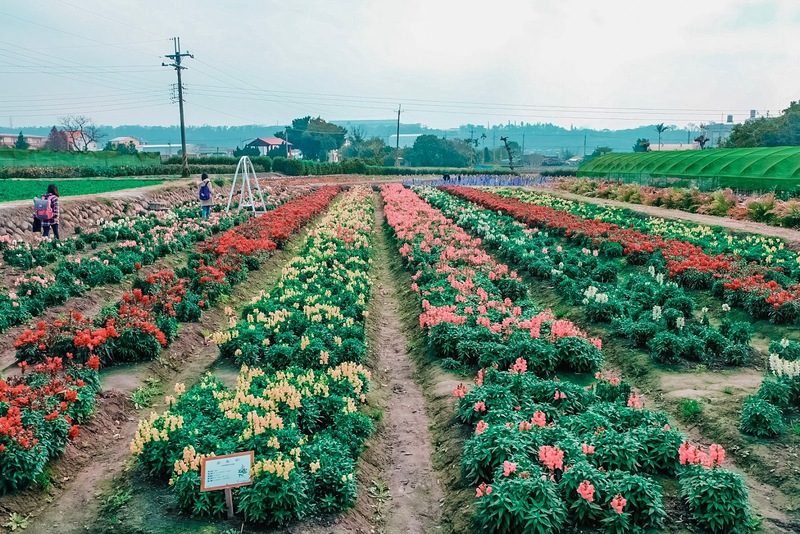 One of the famous tourist destinations in Taiwan, Chung-she Flower Garden (Zhong She Toursight Flower Market) is a beautiful flower farm located in the Houli District of Taichung. It features numerous major flowers covering more than six hectares of radiating flowerbeds with stunning landscapes that change throughout the four seasons. As we entered in the flower garden, we're amazed by myriads of flowers from tulips, sunflowers to lavender and Calla Lily. We felt we're in Holland. Everything was awesome. Flowers are arranged according to their kinds and colors, forming a large colorful carpets of indescribable colours. 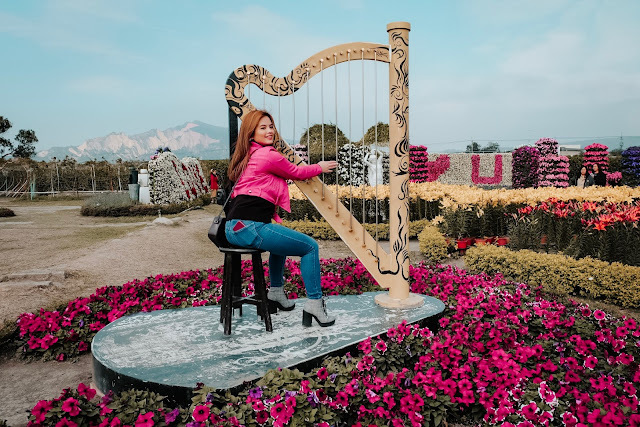 Aside from the brilliant colorful flowers, we also enjoyed taking pictures with replicas of piano, drums and harp. 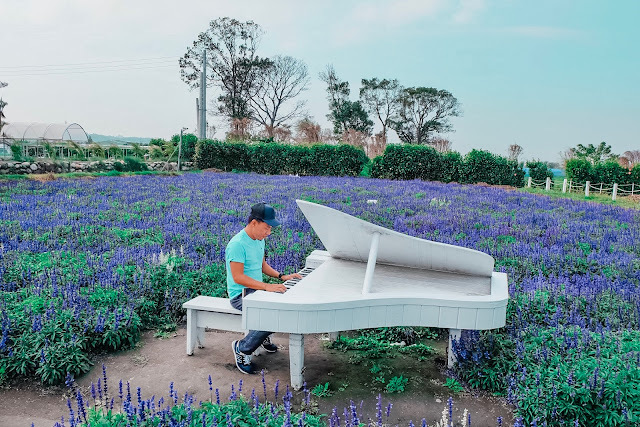 Don't forget to take pictures with the white wooden piano in the middle of Lavander garden. It's a great spot for photography. There's also a lovely Dutch-style windmill which surrounded by hundreds of yellow flowers. Chungshe Flower Garden is surely an instagrammable worthy destination in Taiwan. The flower farm has also a Wedding Photo Backdrop Zone featuring backdrops of European Fairy Tale Cottage, Pavilion of Happiness, Wedding Gown Arch, etc. with a picturesque mountain in the background. This area is a perfect scenic location for your engagement shoot. Chung-she Flower Garden has a souvenir shop where you can buy cool items, food, coffee and refreshing beverages. There's also a BBQ Zone where you can enjoy delicious BBQ. Kids could also enjoy themselves at the playground within the flower garden. Chungshe Flower Garden is open from 9.00 am to 6.00 pm on Monday to Friday. Hours of operation is extended to 9.00 pm on Saturday and Sunday. 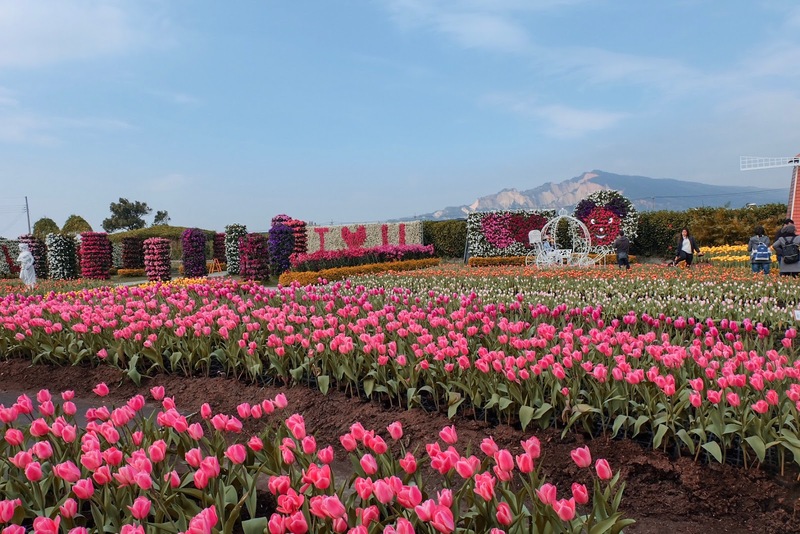 Flower lovers or not, you would definitely like the place. Blooming flowers could give you happiness and joy. It's very pleasing to the eyes. 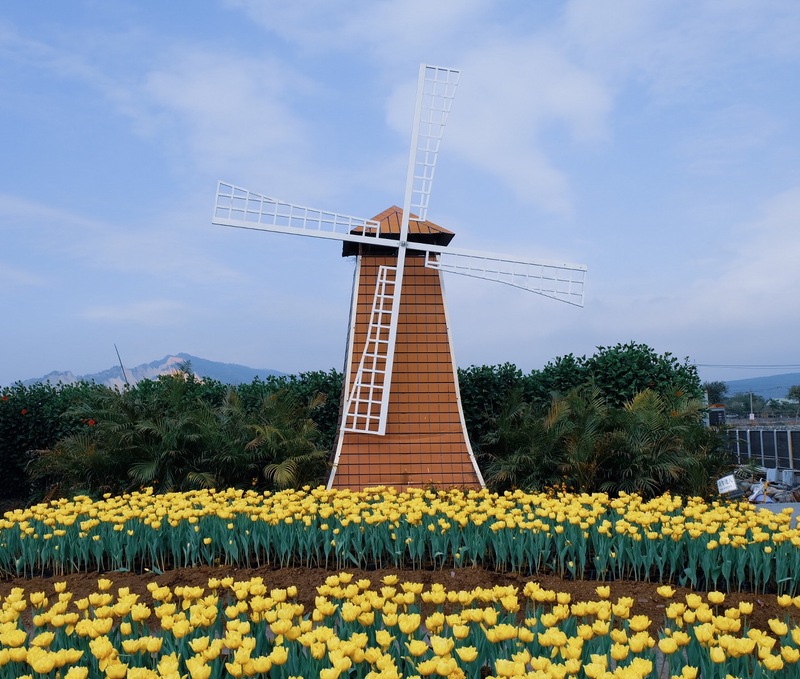 I recommend to drop by Chungshe Flower Garden if you are travelling to Taichung. It's a must-visit attraction in Taiwan. The flower garden is accessible by private and public transportation. if you want to commute, take a train from Taipei Main Station and alight at Tai'an Station and walk towards to the flower farm (about 20-30 minutes walk). 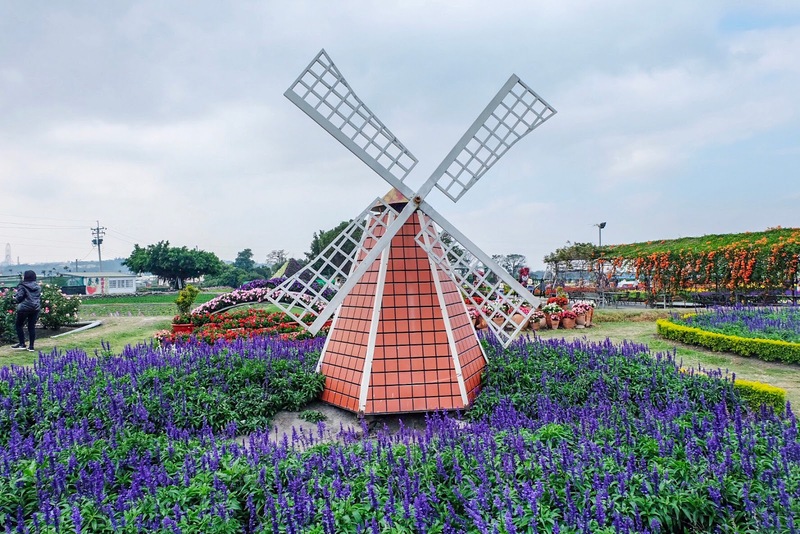 Visitors from Taipei can take Fengyuan Bus and get off at Chungshe Flower Garden.